Our research interests focuses on the transcriptional network regulating plant responses to environmental stimuli. We have been particularly interested on rice responses to abiotic stress, namely cold, high salinity and drought. 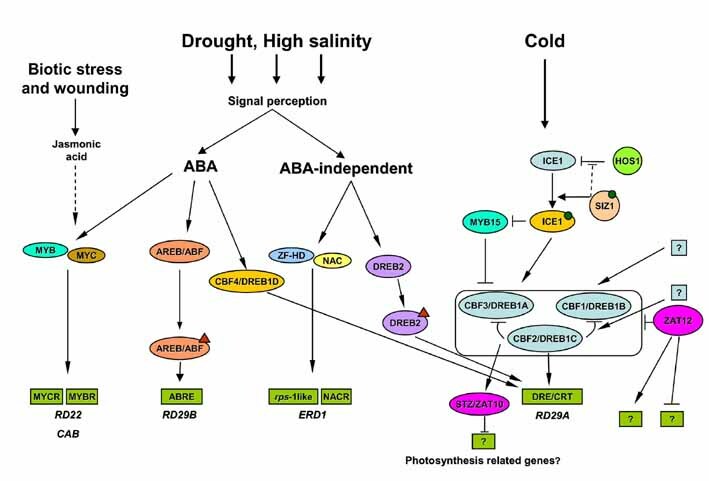 Our group has already identified and characterized a number of new genes involved in plant stress adaptation, thus establishing a link between specific environmental cues and developmental patterns. 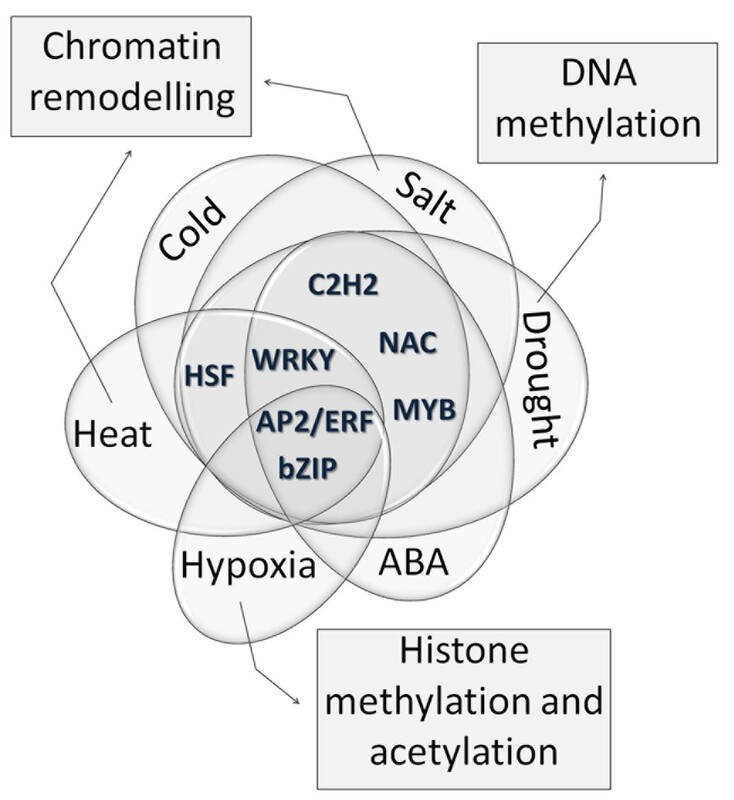 An integrated approach is being used to explain plant stress responses, from the identification of new players in the transcriptional network regulated by stress to the study of post-translational protein modifications and regulation of chromatin structure and epigenetic modifications. We are particularly interested on the transcriptional and post-translational regulation of the photosynthesis in both C3 (e.g. rice) and C4 (e.g. maize) plants. Functional characterization is performed using a transgenic and mutant approach in model plants, followed by phenotypic, biochemical and physiological analysis. This knowledge is expected to support the development of breeding strategies contributing to sustainable crop production under adverse environmental conditions. 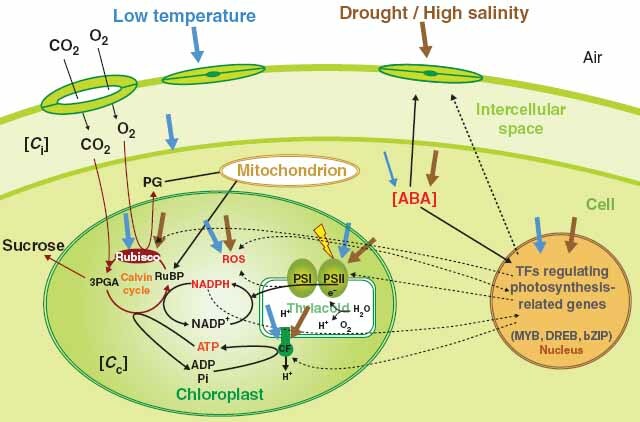 Transcriptional network of abiotic stress responses.